While his office may be housed down the way from the School of Global Policy and Strategy (GPS) in UC San Diego’s Department of Economics, Paul Niehaus will be showing his face a little more in the Robinson Complex this academic year through some strengthened ties with faculty members and a new course he’ll be teaching at GPS in the spring. An affiliate faculty member at the School since 2013 and advisory committee member at the Policy Design and Evaluation Lab (PDEL), the associate professor not only splits his time across campus but he also balances his professorship with leaded a budding nonprofit. Neihaus is U.S. director of GiveDirectly, which transfers cash directly into the hands of the poor through electronic monitoring and payment technology. Here, we packaged three things to note about the academic and entrepreneur with a hand in reshaping the development sector, one cash transfer at a time. 1. The notion for the GiveDirectly came to be when Niehaus was just a graduate student. While pursuing a Ph.D. in economic development from Harvard University, Niehaus got into talks about launching the nonprofit with colleagues who were attending Massachusetts Institute of Technology. “It was really driven by two trends we thought could potentially reshape the way we do a lot of international development work,” Niehaus said. Those trends were cash transfers and electronic payment technologies. “There was no organization at the time that would let donors designate funding for direct transfers,” he said. “There’s some organizations doing cash transfers and that continues to grow, but there wasn’t an opportunity for an individual donor to say, ‘I want to give my money directly to a very poor person.’ It just seemed crazy to us that didn’t exist. Officially, the four co-founders incorporated the nonprofit in 2009 but didn’t fully promote it the public until 2011. Since then, it’s received financial backings from Google.com, GiveWell and Facebook co-founder Dustin Moskovitz’s philanthropic foundation Good Ventures, which just in August made the largest donation to date to GiveDirectly, contributing $25 million. A part of that effort to generate knowledge is expanding into new regions. 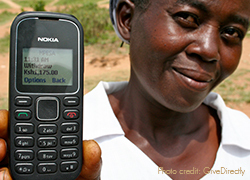 Currently, GiveDirectly serves Kenya and Uganda. But there are plans underway to grow it into Rwanda. 3. Niehaus enlisted GPS Professor and PDEL Director Craig McIntosh to conduct GiveDirectly’s first impact evaluation in Rwanda. 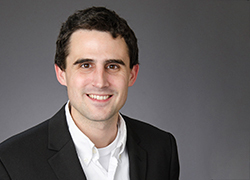 McIntosh as well as Andy Zeitlin, assistant professor at Georgetown University’s McCourt School of Public Policy, will join Niehaus to launch GiveDirectly’s initial impact evaluations in Rwanda. And as the organization continues to become more competitive in the nonprofit sector, Niehaus added that then offers more opportunities to impart its research to aspiring development economists at UC San Diego.